“The ET-16500 is a real first as home office and small business users can now enjoy all of the lower cost, low hassle benefits of EcoTank with the addition of double-sided A3+ printing and A3 copying, scanning and faxing,” said Bruce Bealby, General Manager of Sales and Marketing at Epson. Suited to home offices and small businesses, Epson say the ET-16500 uses the PrecisionCore printhead and the company’s genuine pigment ink to produce sharp and clear texts. Designed for business tasks, it offers fax, two 250 sheet front trays for extra capacity, A3+ double-sided printing and fast print speeds of 18ppm. The addition of the A3 double-sided automatic document feeder (up to 35 pages) makes it effortless to copy, scan and fax multiple page documents. It’s also easy to use with a 10.9cm touchscreen and Epson’s latest user interface. The ET-16500 is backed by a two-year warranty upon registration. The ET-16500 can print up to an impressive 10,500 pages in black and 11,300 in colour from the included ink. With significantly more printing between refills, it presents a cost-effective and efficient solution. 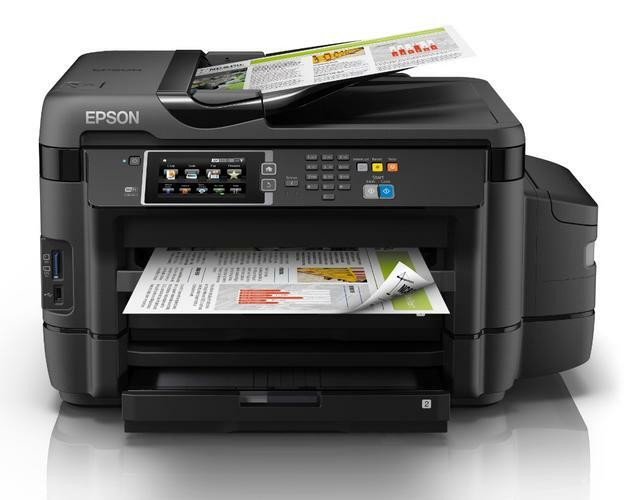 With Wi-Fi and Wi-Fi Direct, sending documents to print from smart devices using the Epson iPrint app is made simple. It’s even possible to email files from anywhere in the world to the model via Epson Email print. Providing further connectivity features, it also offers Ethernet, Google Cloud print and Scan-to-Cloud. The ET-16500 is available from www.epson.com.au for $1599 and from Epson retailers and resellers across the country.